Daniels 0.5 litre lockable Pocket bin, developed specifically for use outside hospitals (where bins all have to be yellow). Can hold 18 - 20 2ml syringes with blue needles. 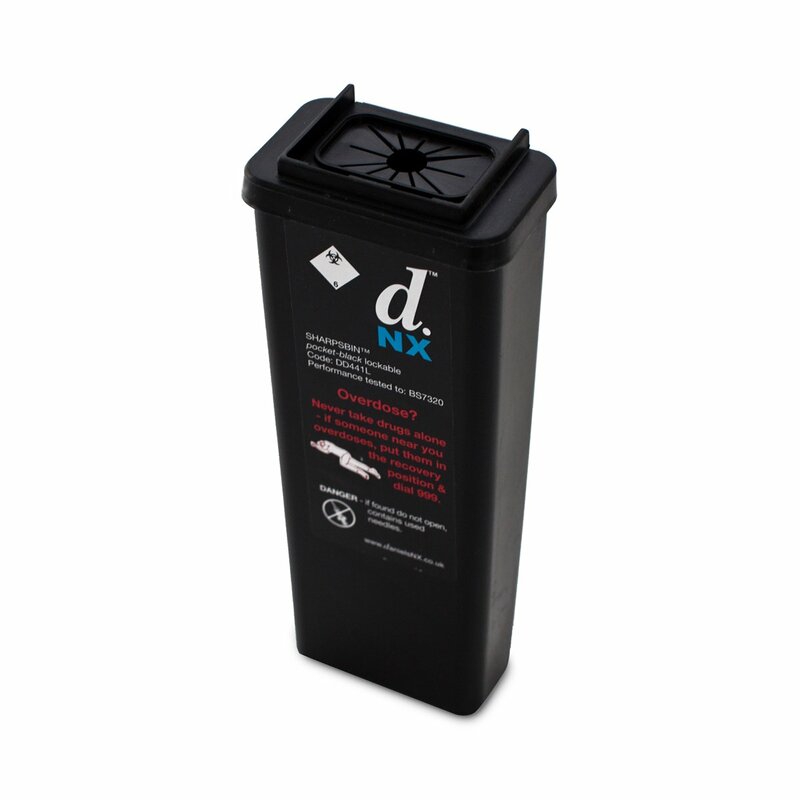 This compact, lockable, sharps container is black to make it more discrete. 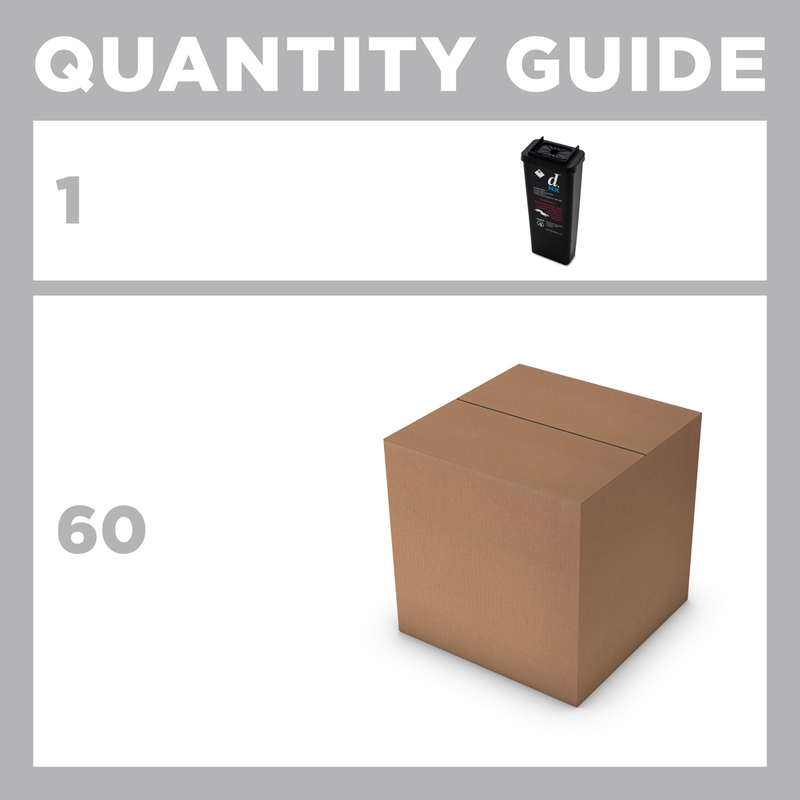 Now available from Exchange Supplies, for fast delivery at great prices.